Ok, new to reloading. Working on 308’s. How often do you guys anneal your cases? How many firings? If you’re annealing them, how many firings do you get off a case typically? Thanks for the help guys, I’m just a guy that has a sickness for doing things right, always. I anneal every firing because I can. Some do it every 3rd firing. 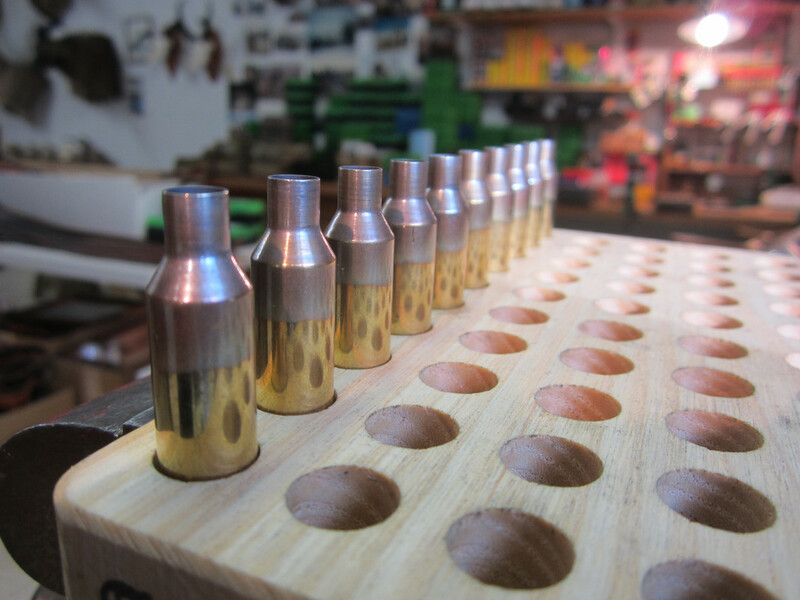 If I'm not hot rodding cases, I have been averaging 15-20 reloads on my brass depending on brand for 308,6.5cm, and 338 LM. Annealing really helps with accuracy not so much overall brass life because you can get more consistent neck tension. My primer pockets fail usually long before I get a split neck and annealing does nothing for primer pockets. Doing it every firing maintains a constant, it's the same every time. That becomes your baseline. I just started annealing the poor man's way with a torch and a shell holder mounted to a drill LOL. It works surprisingly well, with my PRS rifle I started annealing my brass after every firing and was able to drop the SD down to around 6 or 7. I did also try annealing for my 308 Gas gun just to see if I could accurize the ammo by neck expanding with a mandrel, annealing, weight sorting, etc... it worked and I got my SD down into the 9 and 10 range however the gas gun beats up the brass so it has to be tossed after about 4 or 5 firings. Not sure if it's really worth it, but it's what I have to do in the semi-auto platform to keep it sub minute. Anneal every time. Just part of the process to get to the same start point. Precision is predicated on taking the same steps in sequence to achieve the best results. If I may tag on to this, what annealer do most of you like or recommend? Every time. I did the drill/socket thing for a while, then I built a skip annealer, then I got real and bought an AMP. Should have just bought the AMP to begin with. Anneal after every firing in Aztec mode. Before Aztec, presets. My annealing workflow is after SS tumbling. 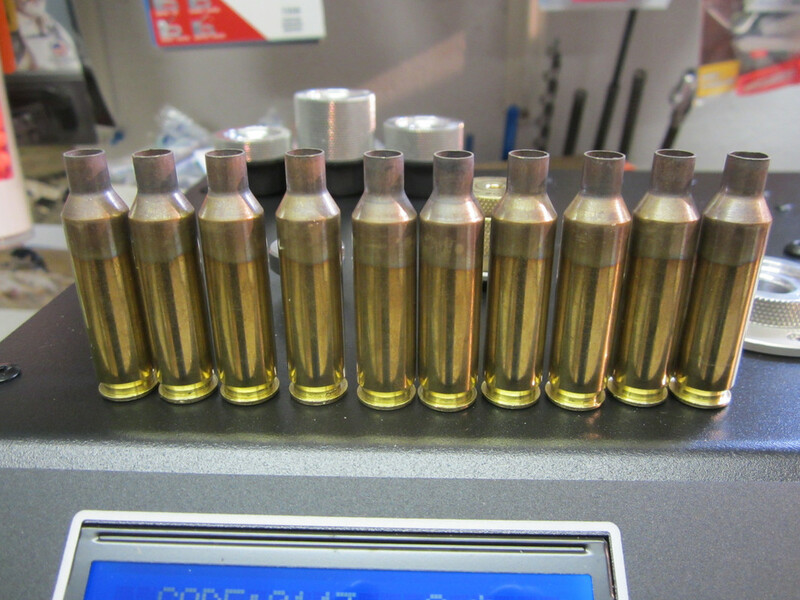 Btw, I’ve done some testing in the past.On .308, took 5 times fired non annealed case. And 5 times fired annealed after each one. Non turned necks on cases. After seating non annealed cases had runout of .004-.006. Annealed ones .0002-.0015. Though, this was just experimental. And doesn’t prove anything about annealing improving in seating. I'm annealing every firing because the Mike's Reloading Bench annealer I have is super simple. I can load 150 pieces of brass at a time and let it do it's thing while I work on something else. I looked an at Annealeaze, but the lead time was much longer. I ordered the MRB annealer and had it in three days. So you ss tumble, anneal, size, prime. ......... is that correct? I anneal every firing, have an Annealeez. Annealing is first thing I do to fired case in the reloading process. I used to anneal after every third firing of my Lapua .308Win brass for 1000BR competition. After 15 cycles I still didn't have any cracked necks or loose primer pockets. However, after more research, I may start doing it after every firing for my RPR .243Win. When I was annealing for the .308, I was using the torch and drill method with good results. I'm now using the molten salt bath kit from Ballistic Recreations. It'll do 100 cases in less than 60 minutes (40 minute setup time, 20 minute actual annealing). Previously I did the torch/drill method but the salt bath rocks compared to that and is considerably more consistent and much faster. If you have the cash to buy one of the fancy annealers then go for it, they are really nice, but on a budget I really like the salt bath method. Deprime, SS tumble, anneal, size, trim, deburr,chamfer, prime, drop, seat.. I've got the EZ Anneal induction annealer and it is so quick simple to anneal that I do it after every firing. If I was annealing some other way I'm not sure I would. Every time. I am over 20x on two batches of 50 of 6 5 creed and one batch of 100of 6.5x47L. So you anneal after every time you fire and you have over 20 firings on 6.5cm brass? No signs of failure? That is crazy, I just found a split neck on one of my Lapua brass in 308. A little disappointed to say the least! It was shot three times and found it after I loaded it for the forth time. have not annealed at all with this brass. Wondering if I should start. I ss-tumble, anneal, size and prime as well. I use the AMP annealer. Every firing. Over 10 firings on 300WM. Every firing with my AMP, easy peasy! Can you please explain your process? What lube and lube method are y’all using that you do t have to re-tumble? I would love to get away from it. I use Redding wax. I use to use to apply the wax first. Then dip it in Redding graphite powder. Now, I just use the wax only. resize, wipe off the acces wax off, then stage them on the case tray for powder drop. Are you neck or full length sizing? Both.. I use Redding type S FL die with bushing without the expander/decap pin.